A milestone for internet retail. Arguably the media platform with the most clout amongst watchmakers, American watch blog Hodinkee has just announced it has been an authorised retailer – exclusively online – for nine watch brands, after having built a strong franchise selling vintage watches and accessories. Available on the Hodinkee shop, the nine brands are mainly establishment names, including Vacheron Constantin – historically considered one of the “holy trinity” of Swiss watchmaking alongside Audemars Piguet and Patek Philippe. On the Hodinkee shop the Geneva watchmaker’s products will be available alongside more affordable brands like Grand Seiko, Longines, Nomos, Oris, Ressence, TAG Heuer, and Zenith. 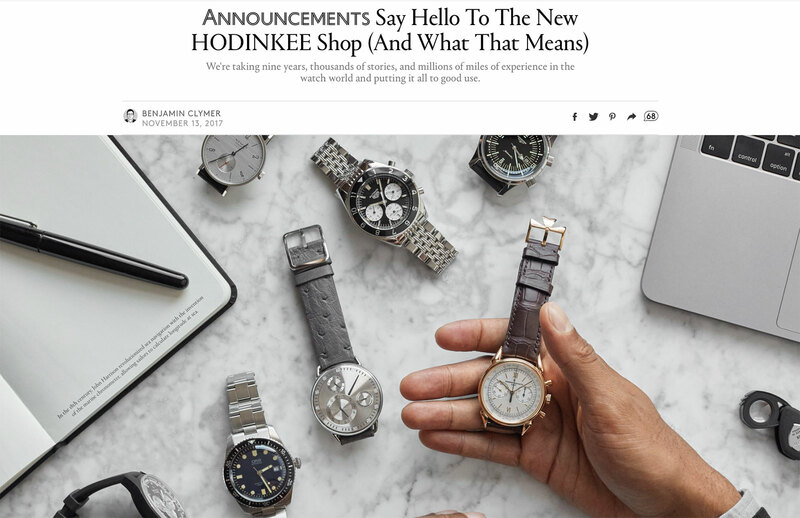 As online watch media goes, Hodinkee is far and away the colossus, making it the preeminent choice for any watchmaker wanting to sell its wares online. Of the nine brands, five are familiar with the online business model, having already created Hodinkee-exclusive editions in the past. And it is worth pointing out that all of the watches on the store are offered at official American retail price. 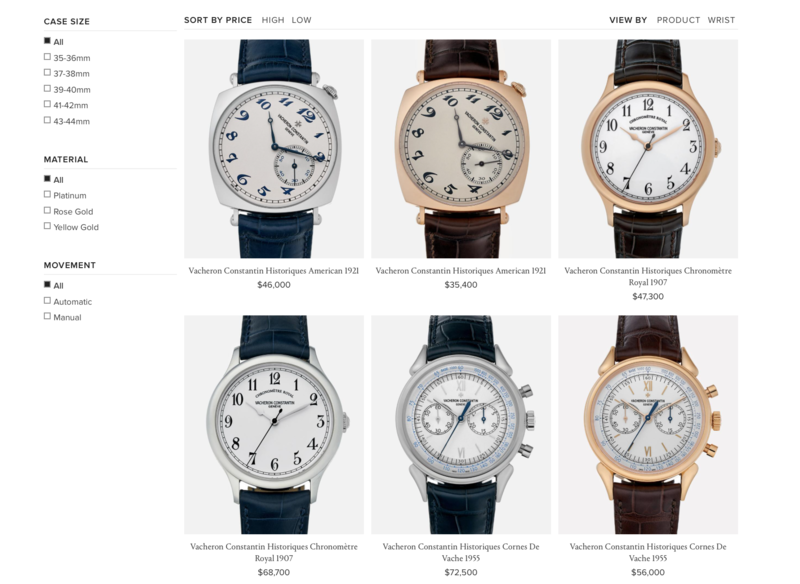 The Hodinkee offering is not merely an online route for the same buying experience. Substantial effort has been put into making it better. Everything is captured with the site’s usual solid photography, instead of the staid stock images most online retailers offer. And the store includes a buyer quiz for automated watch recommendations, free same-day shipping, and notably, an extra year of warranty coverage provided by Hodinkee. Intriguingly, the watches offered on the store will be a selection of each brand’s offerings, or as Hodinkee founder Benjamin Clymer puts it, “only the good stuff”, possibly to the chagrin of old school watch shops. Traditional brick and mortar retailers always – always – have to buy a full complement of a brand’s products, from the most sought after vintage remake limited edition to the essentially unsellable tourbillon wristwatch with a baguette diamond bezel and gold mesh bracelet. In fact, there is (or was) a correlation between the strength of a brand and the power with which it can impose its unpopular watches on retailer. That is a model that requires a vast amount of capital, but it has been how the watch business works. Now it appears the balance of power has changed. Perhaps inevitable given the rapid growth of the internet as a channel for shopping and research, Hodinkee becoming an authorised retailer might also be a function of the market conditions. Vacheron Constantin, for instance, has suffered with the slowdown in demand for luxury watches in China. With its long-serving chief executive having been retired in January 2017 along with several of his peers, the brand is now heading in a new direction. According to various insiders, Vacheron Constantin will soon be unveiling a new entry-level line of watches that might just be the sort of watch suited for online retail. For brands like Ressence, Grand Seiko and Nomos, a partnership with Hodinkee is an opportunity to develop beyond a niche, “watch nerd” audience in the United States, a large and important market for entry- to mid-priced watches. On the other hand, for media outlets like Hodinkee, retail is crucial for a sustainable business. Advertising is insufficient to pay for a serious publishing operation – Hodinkee has almost 20 staff – because watch brands typically want to split their budget amongst as many media platforms as possible. And it is essentially impossible to get a viable number of readers to pay for a subscription, making retail a necessity. Update November 14, 2017: Edited to remove a reference to a yet to be revealed line of watches to be launched by Vacheron Constantin, which will only be announce at SIHH 2018.